My “Object-Oriented Programming Fundamentals in C#” course takes you, step by step, through the principles and practices of object-oriented programming (OOP). The course provides you with the firm foundation in OOP that you need to progress to intermediate-level C# courses. This course was originally published on July 8, 2014. 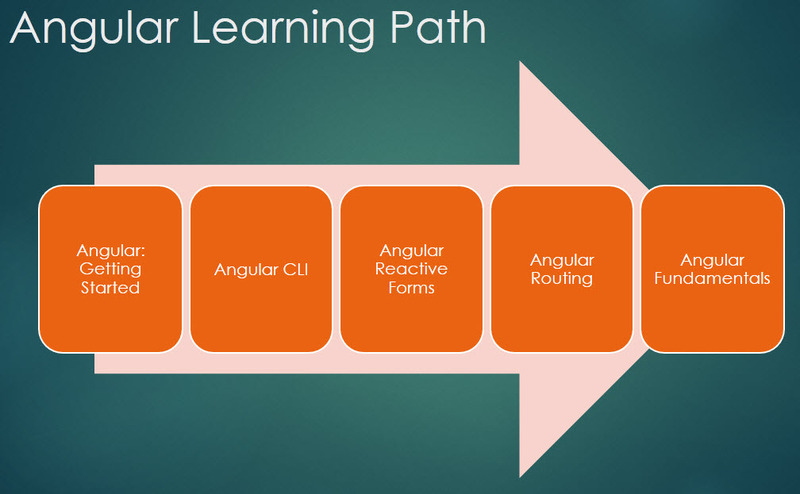 This post identifies the latest changes to the “Angular: Getting Started” Pluralsight course. Angular 2 first appeared around June of 2015 as alpha.27. The first beta release of Angular 2 was December 12, 2015, a great time to start on an Angular 2 getting started course. The first release of the “Angular: Getting Started” course was on April 1st, 2016. The code examples for the course were valid through Angular beta.15. From that time until release, Angular underwent numerous changes … some, such as the new router and the introduction of Angular modules, were significant. Angular 2.0.0 was released on September 14th, 2016, so that was a great time to update the “Angular: Getting Started” course. That update was released October 19, 2016 and completely replaced the entire course. The original course was deprecated and the update was given a new link in the Pluralsight library. Angular v4.0 was released on March 23, 2017 and included many great compiler and performance improvements, but not many feature changes that affected this course. However, the Angular CLI was also released around this time and began to be a viable and very productive alternative for generating Angular code. Angular v4.3 was released on July 14th, 2017 and introduced a new HttpClient module. This seemed like a great time then to update this course *and* include content on using the Angular CLI. This update was provided as a patch to the existing course and was published to the Pluralsight library on August 10, 2017. Angular v6 was released on May 3, 2018. There was very little changed in Angular, but RxJS changed significantly as did Bootstrap. So time for another update to this course. This update was provided as a patch to the existing course and was published to the Pluralsight library on July 11, 2018. Angular v7 was released on October 18, 2018. There was very little changed in Angular, but the CLI was enhanced and includes user prompts. Update to the Angular CLI to include user prompts. Angular 2 first appeared around June of 2015 as alpha.27. The first beta release of Angular 2 was December 12, 2015, a great time to start on an Angular 2 getting started course. The first release of the “Angular 2: Getting Started” course was on April 1st, 2016. The code examples for the course were valid through Angular beta.15. From that time until release, Angular underwent numerous changes … some, such as the new router and the introduction of Angular modules, were significant. Angular 2.0.0 was released on September 14th, 2016, so that was a great time to update the “Angular 2: Getting Started” course. That update was released October 19, 2016 and completely replaced the entire course. The original course was deprecated and the update was given a new link in the Pluralsight library. Update to the Angular CLI v6, which slightly changed the folder structure. Modified to use the new currency pipe parameters. Added additional required setup steps for those that don’t use my starter files. Split clip 3 into two separate clips. Split clip 6 into two separate clips. Split Clip 4 into two separate clips. Split clip 2 into two separate clips. Split clip 5 into two separate clips. This blog post supports the sample code for the “Angular Component Communication” course on Pluralsight, identifying common issues along with their solutions. APM–Start: The starter files. Use this as a starting point to code along with the course. APM–FinalWithGetters: The completed files using getters instead of Subject and BehaviorSubject to accomplish the same objective. Use this to see an alternate completed solution for this course. One common requirement is to filter a list of information based on user entered criteria. This post covers several techniques for filtering in Angular. UPDATE: 2/22/18 Added techniques for a more generic filter method that can filter any list. In AngularJS (Angular v1) we could easily filter information for display using a filter pipe. However, these often caused performance issues, so a built in filter pipe was not provided in Angular (v2+). We could, of course, build a custom pipe to perform our filtering. But that could have the same performance implications, so is not recommended. Angular doesn’t offer such pipes because they perform poorly and prevent aggressive minification. The Angular team and many experienced Angular developers strongly recommend moving filtering and sorting logic into the component itself. The component can expose a filteredHeroes or sortedHeroes property and take control over when and how often to execute the supporting logic. Any capabilities that you would have put in a pipe and shared across the app can be written in a filtering/sorting service and injected into the component. The key to filtering in code is to provide a property for the filtered list and bind to that property. And to ensure that the filtering is performed every time the user changes the filter criteria, create a setter for the filter criteria property. In addition to a products property that retains the complete list of products, we also have a filteredProducts property. In the HTML, we bind the displayed table to the filteredProducts property so only the filtered products are displayed in the list. The listFilter property uses a getter and setter. A getter and setter provide a way to work with a property as a property, but still execute code when the property is retrieved (getter) or when the property is set (setter). In this example, we use the _listFilter property to hold the filter criteria value. We simply return that value in the getter. In the setter, we set the _listFilter property to the value passed into the setter and then perform the filter. In the HTML, we bind an input element to the listFilter property. As the user changes the filter criteria value, the setter is called and the filtering is re-executed. We have a data service (ProductService) which retrieves the data. We inject that service into the constructor as we do any Angular service. The performFilter method is where the filtering actually takes place. The first line of this method converts the filterBy argument to lower case. When comparing strings, converting to lower case ensures that the matching is case insensitive. We want to filter the full list of products, so we call the filter function on this.products, which is the array to filter. The filter processes each element in the array and compares it using the provided arrow function. If the arrow function returns true, the item is included in the filtered list. If the arrow function returns false, the item is not included in the filtered list. Notice, however, that we don’t have a return statement here in our arrow function! Looking closer at the arrow function, we want to filter the list of products to only those products with a product name containing the user-defined filter text. So in the arrow function, we check the productName property of the product. We first convert the property value to lower case so that we are comparing both the property value and the filter string as lower case values. We then use the indexOf function to locate the location of the filterBy text within the productName property. The indexOf function returns –1 if it does not find the defined text. We don’t really care where it finds the text, only that it does not return a –1. We’ve simply added an OR conditional operator. So if the text is found in the productName or in the description, the item will be included in the filtered list. NOTE: This code was not tested with complex object graphs where a property of the object is itself another object. For that scenario, some additional code is required. If the property value is a string, we convert it to lower case so that we can compare the lower case value to the lower case filter criteria. We then use the toString function to ensure the value is converted to a string before calling the indexOf function since indexOf only works on strings. This code is similar to the prior example, but passes in the list to sort. It has an extra check that ensures the filterBy has a value. If not, it simply returns the full list. The above code is filtering the list of products on the productName property using the defined filter criteria. If, however, you have hundreds or thousands of rows, downloading all of that data and filtering on the client may be just to inefficient. In that case, consider requesting the filter criteria first, then passing that criteria to your server, returning only the rows that match the criteria. Then you no longer need filtering on the client. Angular 4.0 was released on March 23, 2017 and included many great compiler and performance improvements, but not many feature changes that affected this course. However, the Angular CLI was also released around this time and began to be a viable and very productive alternative for generating Angular code. Angular 4.3 was released on July 14th, 2017 and introduced a new HttpClient module. This seemed like a great time then to update this course *and* include content on using the Angular CLI. This update was provided as a patch to the existing course and was published to the Pluralsight library on August 10, 2017. If you have already watched the course and want to minimize which modules to re-watch, I’d suggest modules 2, 6, 9 and 13. That would provide a look at the key changes. Split one of the clips into two to keep the same number of clips (required by the Pluralsight patching process). Changed the selector for the star component from ‘ai-star’ to ‘pm-star’ to ensure the app will pass linting rules. Changed the order of the steps in the demo of the @Output decorator to improve the flow of the demo. Plus I brought in a professional to clean up the audio for the entire course! This course gets you started with the basics of Angular including building components, services, and Angular modules. In this course, you will learn how to create, generate, lint, debug, test, build, and serve high quality apps that follow the Angular Style Guide using the Angular CLI. This course details how to build Reactive forms, validate user-entered data, and perform CRUD (Create, Read, Update, and Delete) operations using HTTP. In this course, you’ll learn how to define multiple routes, pass data to routes, guard your routes, preload data for your views, lazy load routes for better performance and more. This course expands on the basics and covers more intermediate information on every key aspect of Angular, including component communication, creating directives, testing, and deployment.